Piezoelectric ceramic materials are electromechanical transducers: They can convert mechanical energy into electrical energy and vice-versa. 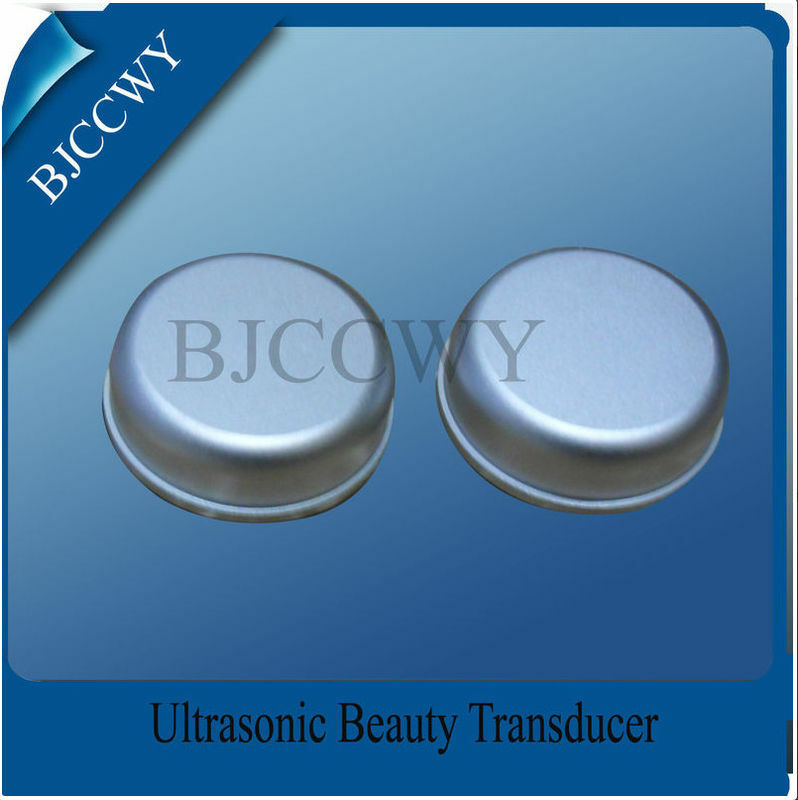 Piezoelectric ceramic material from us are used in sensors, actuators, gas ignition and in power transducers for high-power ultrasonic applications. Piezoelectric ceramic Material are used to convert mechanical parameters, such as pressure and acceleration, into electrical parameters or, conversely, to convert electrical signals into mechanical movement or vibration. In sensors they make it possible to convert forces, pressures and accelerations into electrical signals, and in sonic and ultrasonic transducers to convert electric voltages into vibrations or deformations. 5.Heat-resistance: small resonant impedance, low heat, wide temperature range. 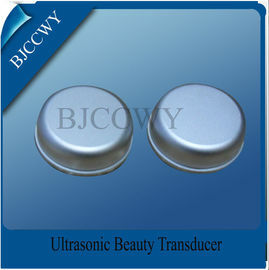 We are dedicated to research and development in the ultrasonic fieldEstablished in 1999, Beijing Cheng-cheng Weiye Science and Technology Co., Ltd is a professional manufacturer specializing in ultrasonic transducers, ultrasonic apparatus and piezoelectric ceramics.Notably in 2004, we researched and developed our ultrasonic tubular transducer equipment into a new product that turns the extreme inconvenience brought about by pipeline and vacuum cleaning into an easy task. This product has been widely used in distillation, mix and mill for various chemical procedures and has received much praise from our customers.Our headquarter is located in Beijing, China. Our manufacturing base is in Baoding, Hebei province. 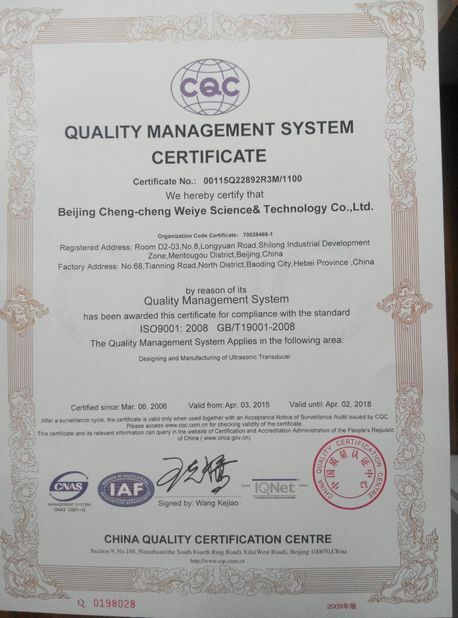 Cheng-cheng Weiye also has two branches in Shenzhen and Zhangjiagang and two sales agents in Japan and the USA. At present, there are five departments of the company comprising R&D, Production, Domestic Sale, Export and After-sales service. Payment: Normally prepaid 100% T/T deposit before shipment. western union, paypal etc. 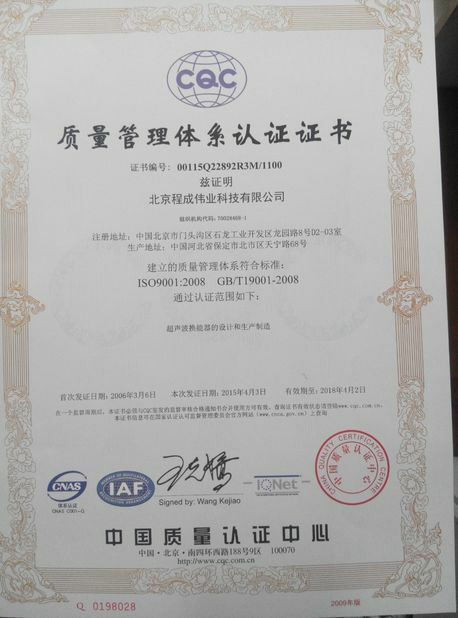 When you order big quantity, we can discuss payment term 30% T/T deposit ,70% balance payment against copy of BL.· Production Lead Time: 5~7 days after deposit payment· Shipping Methods: sea freight or air freight· FOB Shipping Port: Tianjin· If you want to deal with EXW/CIF/CNF term instead of FOB, please specify. Otherwise, FOB price will be quoted under inquiry.